Scribe is thrilled to have acquired world rights in Something Flammable: Approaching the Ghost of Rowland S. Howard by Gerard Elson, a local Melbourne writer and bookseller. This book will trace the life and career of the influential post-punk musician, evoking and re-evaluating a crucial period of music, art, and culture in Australia. Elson says of his project: ‘After writing ‘Shivers’ (sung most famously by Nick Cave in The Boys Next Door) at age sixteen, Rowland S. Howard came to prominence as the expressive and economical guitarist for The Birthday Party. Between fronting These Immortal Souls and recording the solo albums Teenage Snuff Film and, near his life’s end, Pop Crimes, Howard carved meaningful passage through Wall-era Berlin and No Wave New York, collaborating with alt-cultural luminaries like Lydia Lunch, Wim Wenders, Thurston Moore, and HTRK along the way. 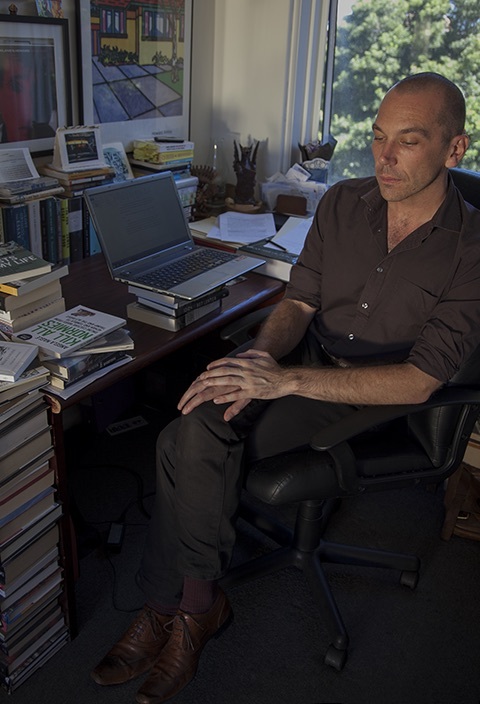 Elson's interviews, essays, reviews, and fiction have been published widely in print and online, including in Island, Best Australian Essays, The Big Issue, The Review of Australian Fiction, and others. From 2015–2017, he was Interviews Editor at Kill Your Darlings. Something Flammable will be published in late 2019, to coincide with the ten-year anniversary of Howard's death.